There are somethings about maternity sessions that just stop me in my tracks. I'm not sure if it's the pregnancy glow or the joyful anticipation on both mom & dad's faces - but maternity sessions may be my favorites. 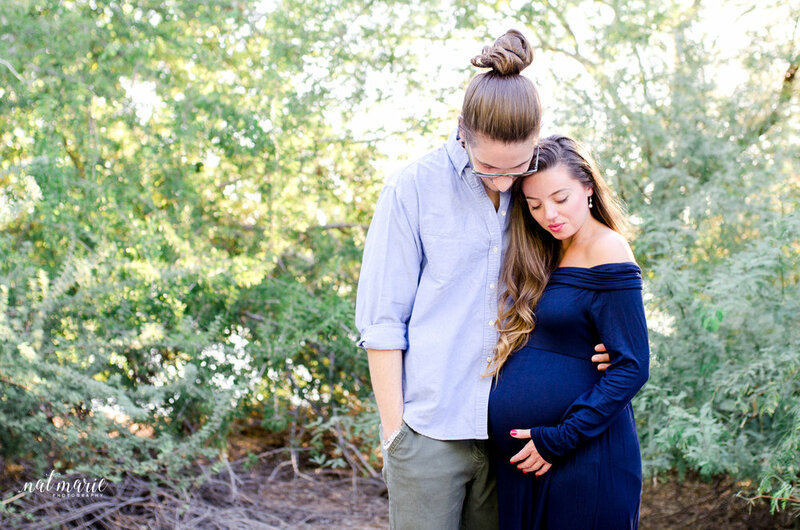 Not to mention, it is so fun to get to know the couple behind the baby pre-baby and then see their love grow at their newborn session! This couple's story is so beautiful. They literally were next door neighbors growing up that fell in love! Talk about a love story! She was literally the girl next door for him. The two of them complement each other so well - and I can't help but be SO excited for their little boy's arrival!! I'm also selfishly so excited to hear what they chose for his name! I think it's so fun when mom and dad know the baby's name but choose to not share it until baby arrives - it makes their arrival so much more grande! 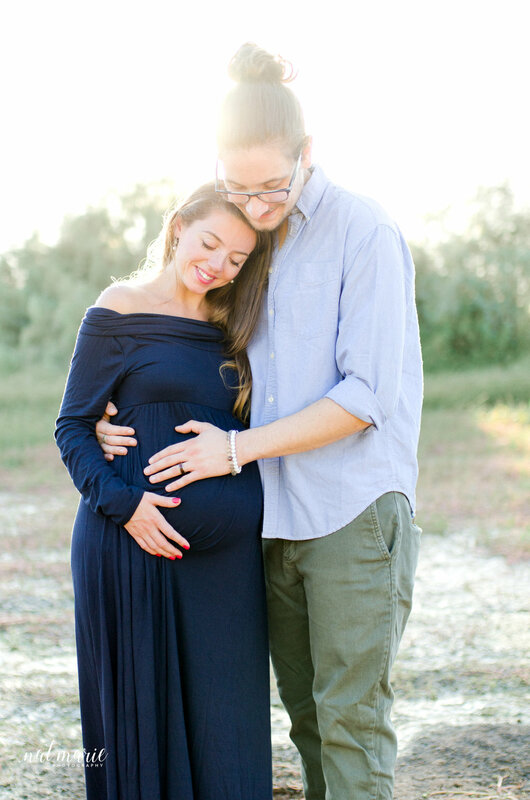 So until now, here are some photos from Theresa & Garrett's sunset maternity session in Gilbert, AZ.